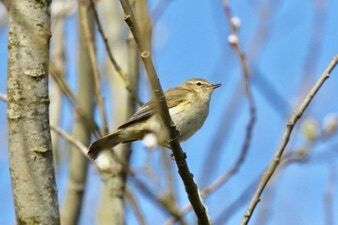 This tiny leaf warbler is a summer visitor to the uk having spent the winter in the mediterranean. They have brownish green upper parts and buff underparts. 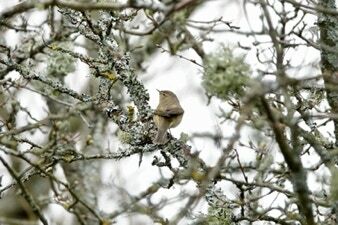 They are very similar to the willow warbler. Their song is similar to their name. They feed on midges flies caterpillars and moths. Phylloscopus means “leaf explorer” and that is exactly what the do as they search the underside of leaves for aphids feeding on the sugary sap. The female builds a domed nest on the ground and she does the incubating and feeding of the young. Milder winters are helping these birds increase in numbers.